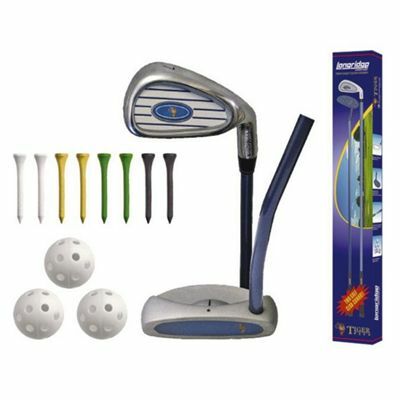 The Longridge Tiger Plus starter set is an ideal introduction to golf for juniors and encouragement to develop future interests. The set includes 7 iron graphite shaft, a mallet insert putter, 3 air flow balls and 10 wooden tees. for submitting product review about Longridge Tiger Plus Starter Set.